Guaranteed sun, special cuisine, the occasional siesta, and events ranging from La Tomatina (mass tomato throwing) to bull fighting… that’s only the start for Spain, a country that’s more than adept at welcoming international travellers. Most of us might only get as far as France with our continental touring programmes, but plenty do make it down to Spain – to be rewarded with a country that’s rich in heritage, with sun almost guaranteed. In fact a recent Caravan Guard poll revealed that Spain was the 2nd most popular destination for caravanners, with 34% saying they’ve once visited the country. There are over 1,200 official campsites plus an increasing number of overnight stopping places (designated Areas de Servicio). That might not seem a lot of sites (the UK has at least double that sites figure), but it’s worth noting there are also loads of places, especially along the coast, where motorhomes are welcome to park up overnight. Earlier in 2015 it was announced that Spain is now the world’s biggest wine exporter, overtaking Italy and France to grab top spot. Don’t worry, there’s still plenty left. Sun, almost every day of the year. Sandy beaches. More mountains than any other European country (except Switzerland). The very best in food and wine. Moorish architecture and some amazing cities. Low crime rates. They’re even particularly welcoming to caravans and motorhomes. It’s a long drive, isn’t it? Yes. A great opportunity to see much of France, but it’s almost a thousand miles from, say, the ferry port of Calais in Northern France to Spain’s capital Madrid, right in the middle of the country. However, lots of folk choose to head to Spain direct on the ferry – as many as one in three preferring to travel down the Atlantic, according to the Camping and Caravanning Club. It goes on to explain those that those who consider themselves good sailors are happy to take the sea routes; those that aren’t will happily drive all the way. It’s the Bay of Biscay, just before Spain, where you’re likely to meet the worst conditions – conditions are worse at certain times of the year, but it’s largely down to pot luck. 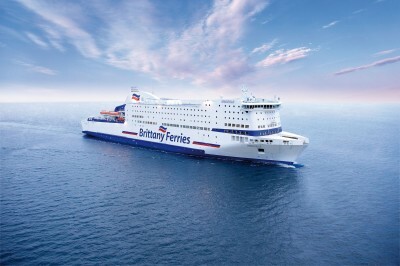 The 24-hour Portsmouth-Santander crossings provided by Brittany Ferries are by far the most popular. Even if you do sail, don’t forget it’s quite some journey from the ferry ports on the north coast to the more popular holiday area. Of course, however you choose to get to Spain there is going to be some kind of ferry crossing involved. So, Spain is more suited to motorhomers? Certainly not. In fact, the Caravan Club reckons two-thirds of its members heading south are caravanners. Is that right folk go there for the winter? Absolutely. Indeed, the numbers of “British pitch nights” in Spain in the winter far outstrips the relatively few summer campers that holiday there. The key reason for this has to be the winter sun, with many folk claiming the cost of staying in Spain rather than their homes in the UK during the winter period are similar, if not in favour of Spain itself. Prices lower the longer you stay. Indeed, according to the Caravan Club, points out prices start from just £5.04 per night, based on a stay at El Astral for 60-plus nights on a standard pitch. Do check your vehicle and home insurance if you’re planning an extended visit abroad. Many home insurance policies will have limits on the time you can leave your property unoccupied. It’s the Costas as far as summer holidays are concerned – Verde, Brava and Dorada are popular coastal areas that are more than capable at catering for a typical two-week high-season holiday. Costa Brava, Costa Dorada and Costa Cantabria are also favourites, but cities are becoming more popular. In winter the Mediterranean coast from the Costa del Azahar (the Orange Blossom coast) all the way round to the Costa del Sol, plus Costa Blanca and Costa de Almeria that come into their own. As with anywhere, they really do vary. Considering the size of the country, there are actually not that many campsites. Pitches sizes can sometimes be smaller than you’d expect in the UK. The culture is that bit different over here, too, with dinners, parties etc lasting longer into the evenings. Note also, many sites that claim to stay open all-year-round can sometimes only operate at weekends in the shoulder seasons. 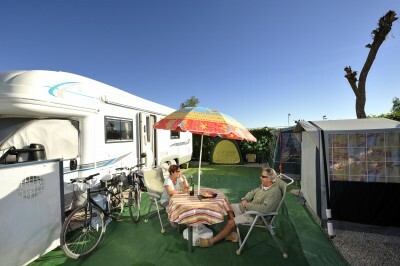 In winter, there’s more propensity to seek out sites near or in towns or places with shopping facilities nearby motorhomers in particular are drawn to campsites in town locations where they can walk to shopping facilities, preferring to leave their motorhomes as static units for their stay. 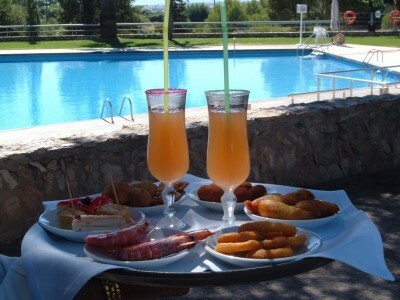 Popular summer sites include: Camping Playa Joyel, Noja; and Camping Vilanova Park, Vilanova I la Geltru. In the winter, favourites include: Caravaning La Manga, La Manga del Mar Menor; Ecoresort Marjal, Costa Blanca ; Crevillent; Camping Almafra, Benidorm ; Bella Vista, Malage; Bonterra Park, Benicàssim, Castelló; Marjal Guardamar, Guardamar del Segura; Marjal Costa Blanca; Vilanova Park, Cabopino, Marbella; Roche, Costa de la Luz; and Ribamar, Castellon. General advice is, you might find it worthwhile to pick a pitch that offers a bit of shade. Spain’s northern “green coast” (Costa Verde) is a completely different part of the country, looking out onto the Atlantic Ocean, and – in appearance, much more like Britain. It does rain here! Just turn right out of the ferry ports at Santander and Bilbao and head for Galicia. Or left for Vasque. Will I be covered on my insurance? Before you tour Europe make sure your insurance policy covers you for the full duration of your trip. Most of Caravan Guard’s touring caravan policyholders generally take the default 180 days European cover. Those who want to increase this, can choose to add an additional 60 days – taking them up to 240 days – for a small fee. Motorhome policyholders meanwhile, can add up to nine months worth of European cover to their policy if they wish. If you are an unsure what European cover you have, please check your policy schedule. Caravan Guard European cover also covers awnings, theft, contents, locks and keys in Europe. Motorhome policyholders can also choose to take European breakdown cover. If you ever require emergency assistance whilst travelling in Spain, Caravan Guard provides a dedicated European accident or breakdown claims line, giving you access to English speaking staff and a network of approved recovery agents. For more handy hints and tips on speed limits, carrying the right documents and equipment, and legislation, take a look at the Top 5 things to know when travelling in Europe guide. Caravan Europe: Spain and Portugal Lists over 700 sites, as reviewed by Caravan Club members, as well as essential touring information. £7.99. Got any advice to share with folk thinking of touring in Spain? Let’s hear from you. Just wondered if anyone knew of sites in spain where you can then leave your caravan in cheaper storage? I.e camp for 3 weeks on a full pitch, then leave in storage for a month, then come back… ideally in galicia! If you’re planning to wild camp, keep in mind that the laws in Europe can be different than the UK, where wild camping is generally tolerated. Click here for a list of wild camping spots in Spain. Each site will have its own set of restrictions, click on the links for further details. I am surprised that whilst this article mentioned the extended european insurance cover it did not also emphasise that Caravan & Camping also offer an extended period of home insurance whilst you are away in Spain. Love Spain-El Delphin Verde just over the French/Spanish Border on Med coast-BRILLANT. always get ferry from Portsmouth to Caen or St Malo-720 miles approx to site- use mo torways-not the cheapest way but the quickest. French m/ways are good just abide to the Laws regarding speeds etc Go on give it a try you won’t be disappointed-Trust Me! 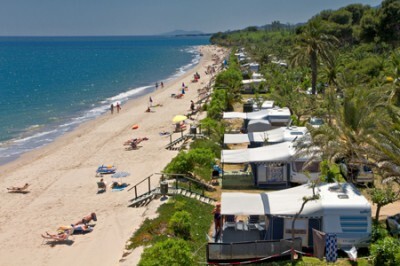 Went to Bonterra Park, Benicassim this past Dec/Jan/Feb with motorhome. Been there 7 yrs before. Still a good site, with decent size pitches, ease of access, ample facilities. e.g toilets, showers, fresh water standpipes, waste disposal points. On site restaurant extremely good value, supamarket acroos the street, others 1 mile away in town. Sea front 1 and half away. Small welcoming town with many festivals depending on season. Very helpful staff and multi cultural. We have booked to go told bale a Alegre in Costa brava. Do you have any information on this site. Many thanks for getting in touch. 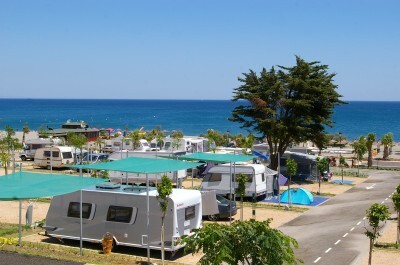 We don’t know too much about camping facilities in that area, but one of the popular sites, Camping La Ballena, has received some great reviews on Trip Adviser which does suggest good things for the area and its facilities. See here for details. Many thanks Craig, we plan to go down to Spain January and Febuary 2016 our first winter away holiday and camp sites and ferry details are so useful as we have caravanned for 45 yrs but never been away in the winter time, Warmest regards, Roy. No problem Roy, hope the winter trip to Spain goes well. Found it really useful , just wish there was even more information, keep up the good work, will be insuring our new caravan with you in April. Thanks Roy. We’ll keep trying to add more information over time. Is there anything in particular you’d like to know?